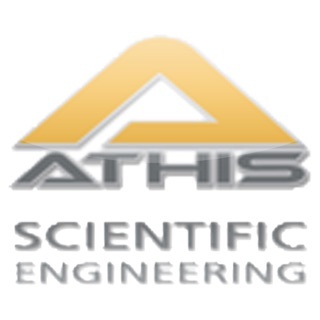 Stage 1: Structural Design Calculator enables users to quickly establish acceptable structural bedding Classes for buried pipes based on the recommendations in BS EN 1295-1 "Structural design of buried pipelines". 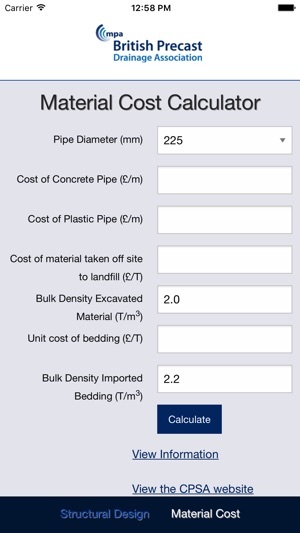 Stage 2: Material Cost Calculator where users can compare the cost of materials required for each bedding Class option. The calculator takes into account the pipe cost (including connectors, gaskets, etc), imported granular bedding material and the disposal of surplus excavated material removed from the trench. 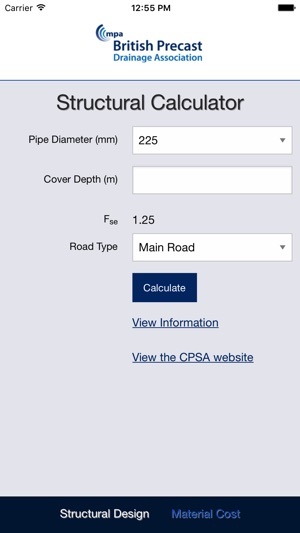 The App not only enables the user to improve pipeline construction cost efficiency, it is built with the environment in mind as it enables contractors to minimise the amount of imported granular bedding and thus, embodied carbon, for the installation. 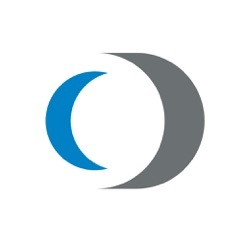 This App has been developed by the British Precast Drainage Association (BPDA) in the UK on behalf of its members: CPM Group, FPMcCann, Milton Precast, Stanton Bonna Concrete.